The Best Memphis Blogs from thousands of Memphis blogs in our index using search and social metrics. We’ve carefully selected these websites because they are actively working to educate, inspire, and empower their readers with frequent updates and high-quality information. 2.2 Choose901 - Now is the Time. Memphis is the Place. Memphis newsletter is a comprehensive summary of the day's most important blog posts and news articles from the best Memphis websites on the web, and delivered to your email inbox each morning. To subscribe, simply provide us with your email address. Memphis, TN About Blog Find things to do, music to love, food to eat, and places to see. I Love Memphis is a personalized source for insider tips, trusted by locals and visitors since 2009. Facebook fans 105,936. Twitter followers 56,764. 2. Choose901 - Now is the Time. Memphis is the Place. Memphis, TN About Blog Stay up to date with the freshest happenings in Memphis. From events and food guides to awesome job postings. Get the local view on life in the 901. Facebook fans 54,563. Twitter followers 128,437. Memphis, TN About Blog Monthly magazine dedicated to bringing you in-depth coverage of every aspect of life in the Bluff City, since 1976. Bringing you in-depth coverage on local dining, art and culture, home and garden, new features, and much more. Facebook fans 7,467. Twitter followers 13,756. Memphis About Blog Your best source for quality Memphis Grizzlies news, rumors, analysis, stats and scores from the fan perspective. Facebook fans 41,679. Twitter followers 7,558. Memphis, TN About Blog Looking for things to do in Memphis Tennessee? We are Memphis provides information on hotels, restaurants, events, music, jobs and more! Facebook fans 29,622. Twitter followers 1,040. Memphis, TN About Blog Memphis TN Real Estate Information from the Crye-Leike Realtors Real Estate agency. Facebook fans 3,684. Twitter followers 20,431. East Memphis, TN About Blog To connect moms in the East Memphis area with each other and with businesses - so we can all be a little smarter and enjoy what East Memphis has to offer our families! Facebook fans 11,914. Twitter followers 1,521. Memphis, TN About Blog MemphisInvest.com is a family-owned real estate investment firm providing turn-key investments for real estate investors. Owned by the Clothier family, Memphis Invest guides investors by selling properties to investors in buy & hold neighborhoods of Memphis, TN., oversees the complete renovation of those properties and manages rental contracts on those properties. Facebook fans 27,210. Twitter followers 39,416. Memphis, TN About Blog Memphis Parent is Memphis' premier monthly parenting magazine, helping parents and children in the Memphis area. Your #1 Guide for raising children in the Mid-South! Facebook fans 4,699. Twitter followers 4,551. Memphis, TN About Blog 4Memphis Magazine is all about culture society culinary fashion entertainment. We cover both the well-to-do and the not-so-well-known, all in the name of showcasing our ever-thriving city. Facebook fans 3,043. Twitter followers 8,158. Memphis, TN About Blog We are a parenting resource website comprised of Memphis moms, with the goal of supporting and connecting moms in the Memphis area. Facebook fans 8,175. Twitter followers 673. San Francisco, CA About Blog The Reddit community of Memphis, TN. Memphis — one of the major cities in the South that has rich culture, amazing music, and some of the best food you'll ever eat; grit and grind. Memphis, TN About Blog Laura from Walking in Memphis in High Heels is a popular lifestyle blogger and who focuses on affordable fashion and shares her thoughts on fashion, beauty, motherhood and more. Facebook fans 9,458. Twitter followers 7,050. Memphis, Tennessee About Blog High Ground News is a weekly digital magazine and website focused on what's next for the city of Memphis. Our focus areas include economic and neighborhood development, healthy communities, entrepreneurship, non-profits, sustainability, leadership, technology and Innovation. Facebook fans 9,380. Twitter followers 2,784.
memphis About Blog This is Smart City Consulting's blog and its purpose is to connect the dots and provide perspective on events, issues, and policies shaping Memphis and its future. Facebook fans 1,966. Twitter followers n/a. Memphis About Blog Discover excellent artists, artisans, and independent businesses in The Scout Guide (TSG) Memphis, Tennessee city guide. Follow TSG Memphis to get an insider’s view on where to go, what to do, and where to shop in Memphis. Facebook fans 2,531. Twitter followers n/a. Germantown, Tennessee About Blog The mission of the Memphis divorce attorney team at Miles Mason Family Law Group, PLC is to take clients safely through the challenges of divorce, with a support group of passionate, understanding Tennessee divorce law professionals - people who appreciate the magnitude of divorce troubles and to create a safe haven while clients take the necessary steps to improve their life. Facebook fans 414. Twitter followers 561. Memphis, TN About Blog Darrell Castle & Associates is a Memphis bankruptcy & personal injury firm dedicated to helping you through hard times. Facebook fans 1,074. Twitter followers 563. Memphis, TN About Blog The blog of Christ Church serves to keep members and the local and broader communities directly informed about the ways that the church is fulfilling its mission to make, mature and mobilize disciples by loving Jesus and loving like Jesus. Facebook fans 1,977. Twitter followers 2,320. About Blog Hello, I'm Mandy Sue! I'm a finance professional by day and this blog is my creative outlet. Newlywed living in the suburbs of Memphis blogging about plus size fashion, planning, beauty products and married life. Memphis About Blog The Society of Entrepreneurs was founded in 1991 to foster the development of the entrepreneurial spirit and to recognize the contribution of entrepreneurs to business and the community. Facebook fans 909. Twitter followers n/a. Memphis About Blog Memphis K12 is a grassroots blog for parents and students who haven't been heard. These are your stories and your chance to have a voice. Facebook fans 415. Twitter followers 200. Tennessee About Blog Improve HEALTH, FITNESS, and the QUALITY of LIFE. Our mission is to help educate, motivate, and assist America’s youth in living healthier lives. Facebook fans 184. Twitter followers 40. 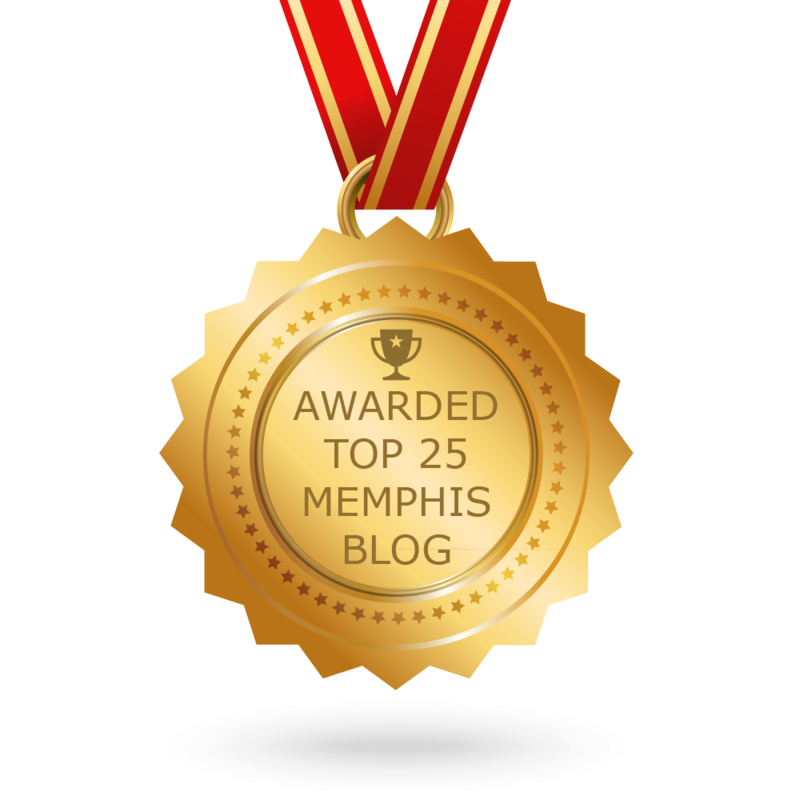 CONGRATULATIONS to every blogger that has made this Top Memphis Blogs list! This is the most comprehensive list of best Memphis blogs on the internet and I’m honoured to have you as part of this! I personally give you a high-five and want to thank you for your contribution to this world.